Dr. De Wilde studied at the Katholieke Universiteit Leuven and the University of Leeds. He was awarded a PhD in 2002 for research on "The stanza form of the Vernon/Simeon lyrics, and its relation to earlier Middle English, Anglo-Norman and continental French models". 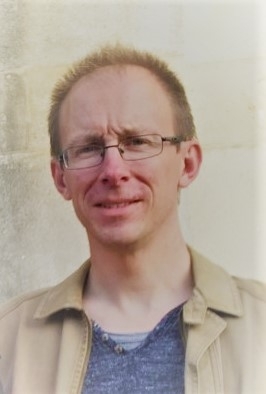 After a Research Fellowship with the Brotherton Library's Digitised Medieval Palaeography Project, he joined the AND editorial team in 2003, where, in addition to the central task of revising entries from F onwards, he has been closely involved in developing the editorial policies and organisation of the AND, while promoting awareness within and beyond academic circles of the importance of Anglo-Norman. He became senior researcher and project leader of the Anglo-Norman Dictionary in 2016. He has published a translation of a Brut Chronicle, and is currently collaborating with Heather Pagan on an edition of Nicholas Trevet’s Anglo-Norman Chronicle. L’édition de texte et l’Anglo-Norman DictionaryDe Wilde, G. & Pagan, H., 2016 , Quelle philologie pour quelle lexicographie? : Actes de la section 17 du XXVIIème Congrès International de Linguistique et de Philologie Romanes. Dörr, S. & Greub, Y. (eds.). Heidelberg: Universitätsverlag Winter, Vol. 197. p. 10716 p. (Studia Romanica; vol. 197). Re-visiting the Textual Parallels and Date of Thomas of Kent’s Alexander and Jordan Fantosme’s ChronicleDe Wilde, G., 2014 , In : Medium Aevum.83, 1, p. 76-9216 p.